Being in a hit and run accident can be a very frightening event. Being prepared to know how to handle the situation when it occurs will help you deal with the shock of it, as well as ensure you are covered for the loss when it does happen. While hit and run accidents will happen to almost every driver, whether their car is parked and unattended, or while they’re driving, knowing these things will help you deal with the unfortunate situation. Safely park your vehicle: If you happen to be driving when the accident occurs, safely pull the vehicle over to the side of the road. If possible, carefully write down the license plate and description of the vehicle that struck you. This will aid police in locating the driver. Often time, your vehicle will be struck in a parking lot while unattended. In the event this happens, look for any signs of the other vehicle. Is their paint transfer that would indicate the color of the vehicle? Is there a note on your windshield? Are their security cameras such as at the gas station? Assess any Injuries: If someone is injured, take care of their immediate needs and quickly call 911. It is typical to be jittery after such an event so catch your breath too. Call police: Once you’re safely parked, you’ll need to get a police report. Many police stations will not respond if there are no injuries, so you’ll want to still turn in a police report for the incident. Many insurance companies will require this documentation in order to use your UMPD (uninsured motorist property damage) insurance coverage. Gather any witness information: If anyone is standing there and offers you their statement, jot down their phone number and name. Your insurance company will want to talk with any witness to the accident. 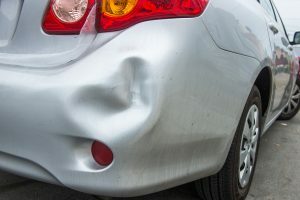 Call insurance company: Sometimes even though vehicles collide, the damages may be limited, so you’ll want to take a close look and determine if you want to pursue a claim. While hit and run accidents may be a scary encounter, they may not require body work to your vehicle. Also keep in mind that if you don’t carry the correct coverages for hit and run (often times referred to as uninsured motorist property damage) your claim will be handled under a collision loss. Deductibles will likely apply in both cases. While we hope you never have to experience a hit and run accident, being prepared will help you tackle the unfortunate situation. If you’re looking for insurance in Gilbert, give us a call. Founded in 2005, Insurance Brokers of Arizona is a leader in quality protection for individuals, families and businesses throughout the Southwest. Insurance Brokers of Arizona is currently licensed in Arizona and California. Providing world class customer service with our extremely experienced and knowledgeable team, paired with our ability to understand our customer’s coverage needs, drives the success of our agency. The key to staying safe riding your motorcycle is to be prepared and understand how to avoid risks. Motorcyclists are at a higher risk being on the road compared to a vehicle. Keep these things in mind to dramatically lower your risk for injury. 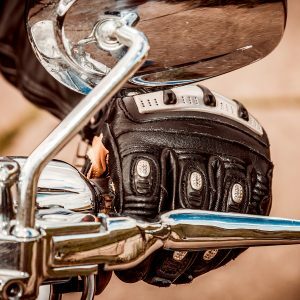 If you’re new to riding, look to take a riding course from the Motorcycle Safety Foundation in your area. This class can teach you the basics. Or, if you’re an experienced rider, you can learn more advanced techniques. After taking a Motorcycle Safety riding course, be sure to get out there and ride! Racking up miles will help you become a better rider. Set a short term goal of riding 1,000 miles before a specific date. Especially if you’re new to riding, you need to wear the proper attire in case you go down. 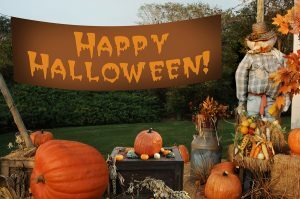 Look to buy leather or textile protective gear (jacket, pants, gloves). It helps when your clothing is breathable when you’re riding in the hot summer days. Shoes with good traction are essential to staying safe on the road. A non-slip bottom boot or shoe is ideal. They should also be over-the-ankle to give extra protection. Many drivers don’t see motorcycles or simply make judgement errors because of your size. Be sure to pay more attention to your surroundings when you’re riding. Pay attention to everything including street corners and intersections, but also parking lots, alleys and anywhere where a vehicle is trying to enter into moving traffic. Also, look far ahead when you’re riding. For example, say a car is pulled over or construction is coming up. Sure, you may see it, but does the car next to you? Lastly, avoid the blind spot of all cars. Ride up ahead of them or far enough before in case they need to suddenly switch lanes. Besides being aware of your surroundings, it’s important to look for pot holes or bumps in the road. While a car can handle these without a problem, being on a motorcycle is a different story. If you can’t avoid them, slow down as much as you can. Before hopping on your bike, be sure to check a few areas. Check the chain, belt, and brakes. Inspect your tires for proper pressure. Also check to make sure your lights and directional signals are working properly. While we’d love to sit in your sidecar to help you ride safely, we have work to do saving great people like you money on their motorcycle insurance. As an independent agent, we have access to some of the top insurance carriers in the country.